Home » Blog » Did you know what “MINI-Z” stands for? Did you know what “MINI-Z” stands for? A question: what does Z in MINI-Z stand for? Good question. I’ve never thought about that. So, let’s find that out. Ishikawa-san, who is a designer of the MINI-Z, tells the story. What? Let’s get more details. 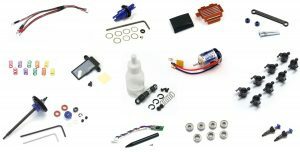 When Kyosho developed a new 1:28 scale mini RC car in 1999, we wanted the product to be enjoyed by every level of users. 18 years back, we hoped the MINI-Z to become an ultimate mini RC car for everybody, and we’ve tried to make it happen since then. By the way, did you know that MINI-Z is pronounced differently in Japan? Why? Let’s find it out next time! ← MINI-Z Photo Contest Starts on Nov. 16!